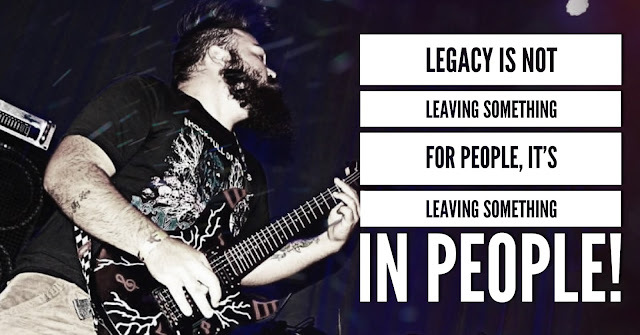 Do you know an awesome Band or Musician? Or are you Playing or Singing yourself? We are looking for you! 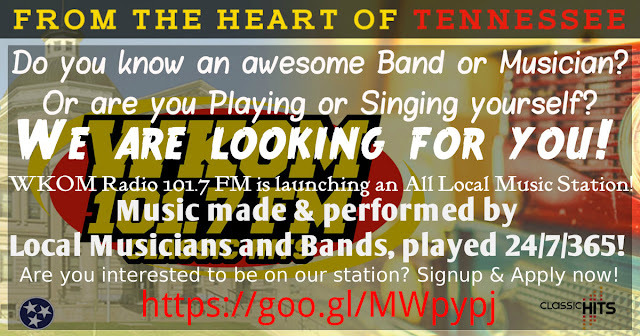 WKOM Radio 101.7 FM is launching an All Local Music Station! Music made & performed by Local Musicians and Bands, played 24/7/365! Are you interested to be on our station? Signup & Apply now! Click here and fill out the questions and we will be contacting you within a couple of days! Spur of the Moment plays on Wednesday Morning Show! Wednesday Morning was a great moment for Steve Wyndham, Susan Manning and Jeremy Cox! Finally we had the possibility to get Spur of the Moment in the WKOM Radio 101.7 Studio's for a Live Musical Session at the Wednesday Morning Show. The band arrived early and after a warm-up and finetune session in one of the WKOM Studio's they were ready for a Live! performance. A great Time, with great Music and very nice guests to have around. 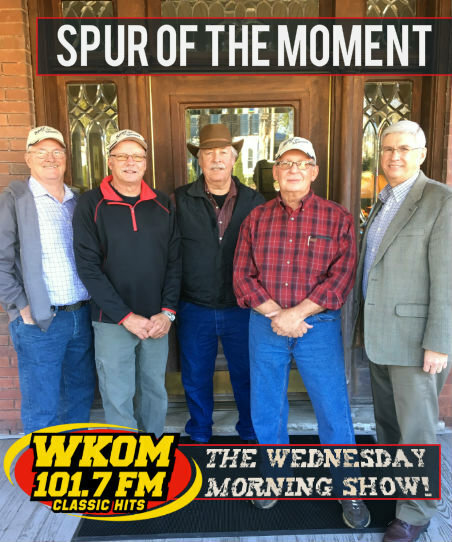 WKOM Radio was proud and happy to have Spur of the Moment as the Weekly Wednesday Morning Guest! All put together with the help of Michelle Morgan and Host Steve Wyndham! Click here to visit Spur of the Moment on Facebook. 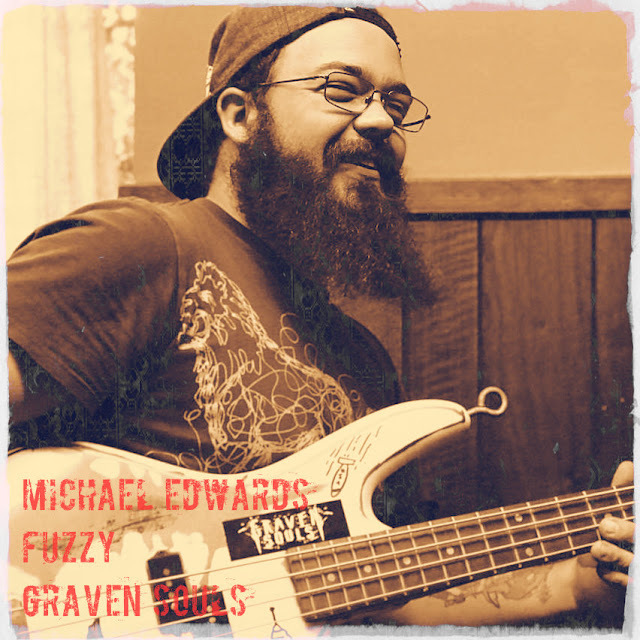 Michael (Fuzzy) Edwards, from Columbia, TN and guitar player of local metal band Graven Souls, passed away unexpectedly in a car accident on November 3rd, 2017 at the young age of 25. The Fly High Fuzzy Benefit at Skyyz Bar & Grill on November 17th, 2017 will be to raise money for his funeral costs and reminisce with his friends and family. Doors will open at 6:00 PM, and there will be live music starting at 7:00 PM. A silent auction starts at 6:00 PM and end around 10:00 PM. The Fly High Fuzzy Benefit will come to an end at 11:00 PM. This benefit is an 18 and up show and there will be a $10 cover fee. From all of Fuzzy’s friends and family, we thank you for your support and donations and appreciate every single one of you. Listen Every Wednesday Morning to Steve Wyndham, Susan Manning and Jeremy Cox on WKOM Radio 101.7 FM and WKRM 1340 AM. A special show where you can win tickets, giveaways and more! Special Musicians and bands from Middle Tennessee. 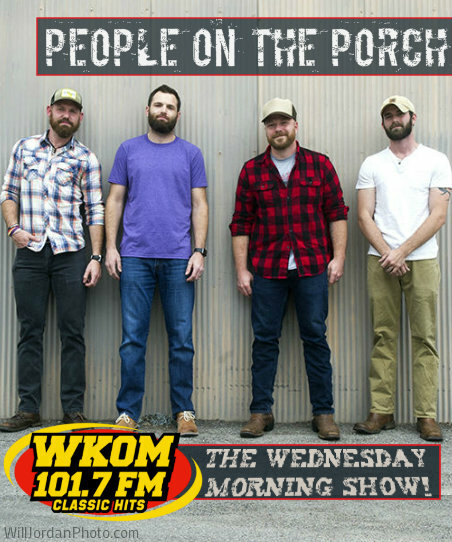 On Wednesday 11/15/2017 the special guests on Steve's Show will be the local band "PEOPLE ON THE PORCH!" Friday night, November 10th, Rossi! 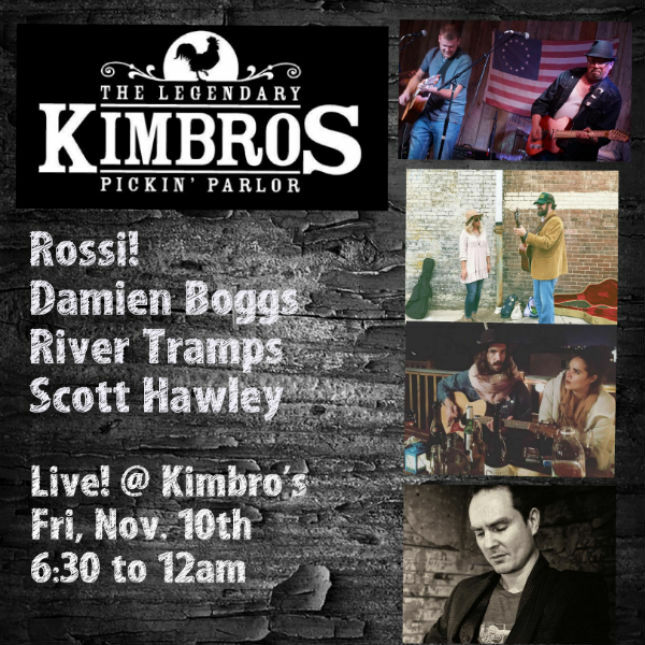 takes the stage for an unforgettable night of music with a stellar list of guest stars at The Legendary Kimbro's Pickin' Parlor in Franklin, TN. At 6:30, the Scott Hawley band performs their unique, celtic tinged music. Around 7:30, River Tramps take the stage. A barn burning duo from Columbia, Adam and Nikole will leave you breathless with their tight harmonies and high energy delivery. 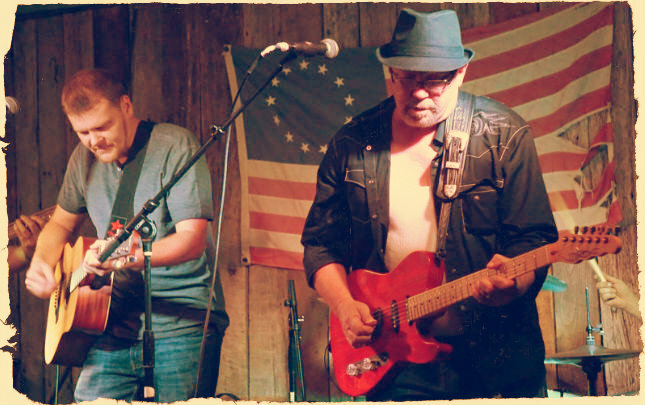 And at 8:45 brings you Rossi!, who promises to put a torch to their brand of Americana rock. Deep lyrics, soulful delivery, and scorching arrangements is what you can expect. From 10:00 onward, Damien Boggs and the Proper Villains take the stage. A self-admitted purveyor of sad songs, Bogg's deep delivery of New Orleans infused blues and R&B is guaranteed to make you sweat. It'll also be a fond farewell to Mary Lynn O'Neal, so this will be a night to remember. See you there!